Dr. Ambuja Govindaraj is specialized in Obstetrics & Gynaecology and has an experience of 12 years in this field. Dr. Ambuja Govindaraj practices at Optima Arthritis & Rheumatology Clinic in Mahalakshmi Layout, Bangalore. 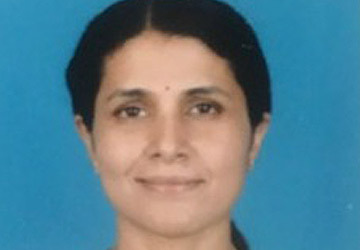 She completed MBBS from University of Pune in 2006,MS – Obstetrics & Gynaecology from University of Pune in 2006 and DGO from University of Pune in 2008.